Crispy and crunchy, yet moist, is how I would describe my first Weiner Schnitzel. 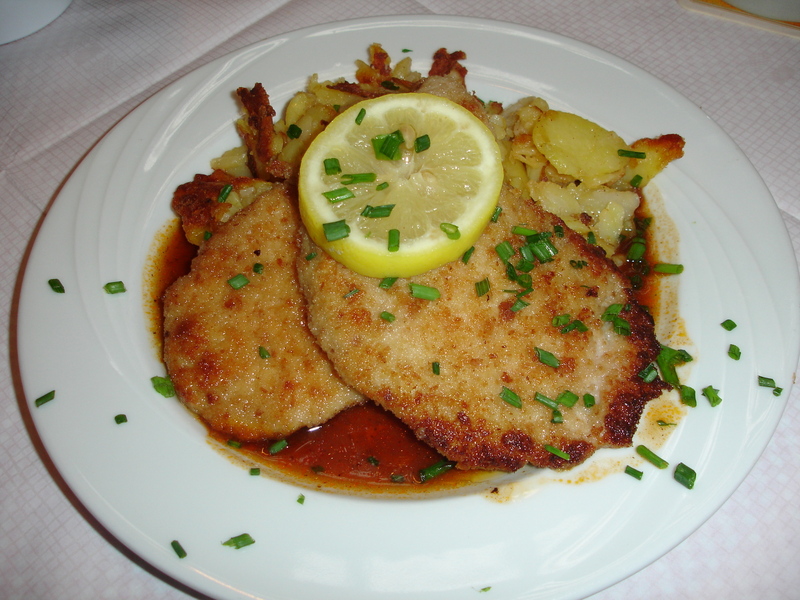 Having arrived in Vienna for the first time, eating Schnitzel was at the top of our to-do list. As I watched the kitchen work, I remember being amazed that they could so quickly pound the pork so flat, sautee it to perfect crispiness, yet still retain the moist and flavorful interior that I’d expect of Roast Chicken. In culinary school, I learned exactly how to make that Schnitzel and realized that when you’re looking for a quick-cooking meal, Sauteeing is the way to go. Using high heat and a small amount of fat, you can very quickly cook up a chicken breast, a pork chop or even a lean cut of beef. Using the Concentration method, Sauteing involves cooking a small tender piece quickly in a small amount of hot fat.